A question or comment I receive the most is about my hair. I thought it would be a great idea to share with you my holy grail products, most of which I've been using for over a year now, so I can honestly say that they're amazing products! Let me first explain briefly how I discovered Agadir. If you've been following my blog for a while now, you may remember that Agadir contacted me to review their entire hair care line, after meeting them at an event I attended for New York Fashion Week. If you missed the review on the entire line, you can read it here. 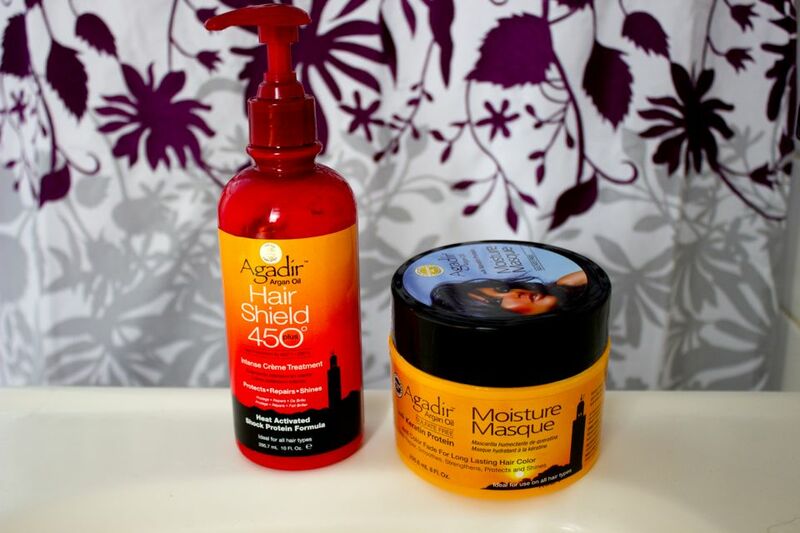 They sent me a whole lot of products, but I really highly suggest only two because they've proven to be the most beneficial for me, which are the Hair Shield 450 heat protectant and the Moisture Masque. The heat protectant has lasted me for about a year now because you really don't need much, of course depending on your hair length. I only use one pump and I wash my hair every two days. I apply it after I gently towel dry my hair and from the ends up. I'm now on my second hair masque, the first I was given to review and the second I bought with my own money. I absolutely love it and although it suggests to use it once a week, I use it every other wash. I make a ponytail with my hand and place the product from where it begins to the ends, make a bun and use a plastic shower cap to let it sit for about 5 minutes, while I finish showering; I feel this product is the absolute must, if I had to narrow it down between the two. 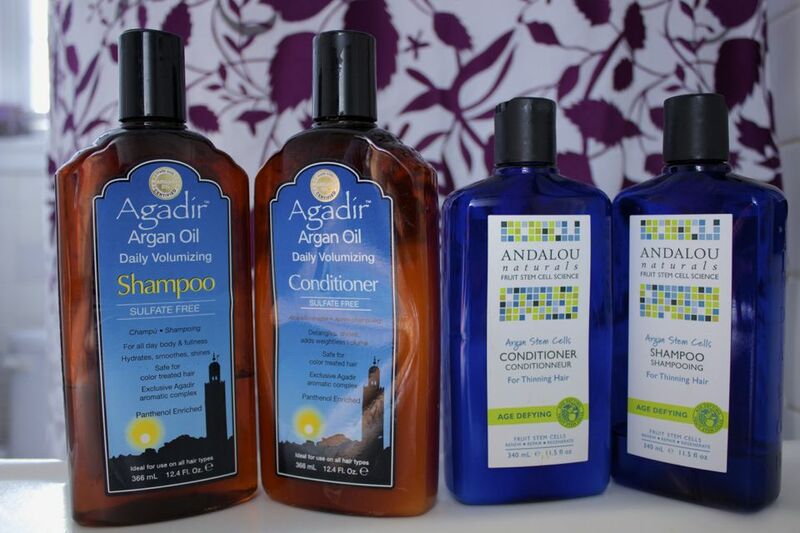 As for the shampoos and conditioners, I switch between the Agadir and Andalou Naturals, both are sulfate and paraben free and have not been tested on animals. I prefer Andalou Naturals over Agadir because it provides volume, whereas I feel the Agadir leaves my hair a bit more limp. You'll notice the Andalou bottle says "for thinning hair", my hair is not thinning, but it's fine in texture, so I do need products that help to provide lift and this one does the trick. I also want to mention that when I rinse out my conditioner (which I always let sit in my hair, even if it's not a deep conditioner or masque) I use cold water to lock in the moisture. When it comes to styling, I let my hair air dry about 85-90% (the heat protectant helps to make the hair dry faster) and then I use a large wooden round brush and my Ceramix Xtreme by BaByliss Pro blow dryer. While my hair is air drying, I do not comb it, since the hair is more fragile when wet and this can cause breakage. I only comb it when I section my hair off to begin blow drying, when the hair is nearly dry. Lastly, diet has a lot to do with our hair and skin, which I can do an entirely separate post on (I cured my eczema by just changing my diet) but I do drink water according to my body weight in ounces every day, I have dairy once or twice a week, as well as meat (I sometimes go even longer without eating meat, about a month). I also make sure I have my hair trimmed every 6-8 weeks to avoid having to chop it. I've been using the same stylist for nearly 3 years and she knows what I want done and actually does it! 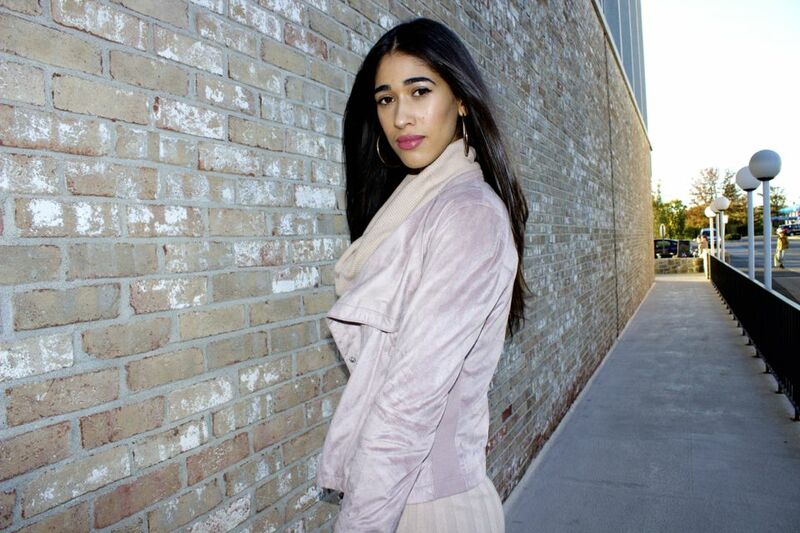 I can't stress the importance of finding a stylist who listens to and communicates well with you. I don't suggest going to different salons, if you've found someone you like stick with that one individual. Do not use another stylist if she or he is booked on a day you need to get your hair done. If you need to make your appointments in advance to ensure your slot with him or her, do it! I hope you all found this post helpful and if I had to just suggest one product, it would be the hair masque and to make sure you're drinking water in your body weight's ounces every day (take your weight and divide it by two). Thanks so much for stopping by, my friends, and I hope you have an amazing day!